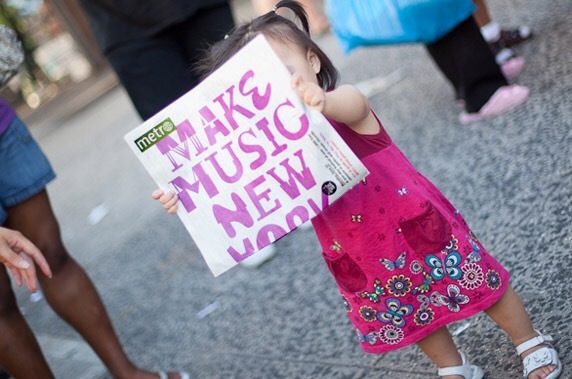 Where to listen to Make Music New York in Harlem, June 21 | HarlemGal Inc. This entry was posted in 110th Street, 116th Street, 125th Street, Community, Corner Social, entertainment, Events, Frederick Douglass Blvd., Free!, Harlem, Harlem bloggers, Harlem blogs, Harlem businesses, Harlem Restaurant Row, Harlem restaurants, Harlem Tavern, HarlemGal, music, New York, New York City, NYC, restaurant row, restaurants, Things to do in Harlem and tagged Harlem, make music New York. Bookmark the permalink. Thank you for that additional piece of information! We will stop by! Make Music Harlem, part of the Make Music New York concert series, will be in Morningside Park on June 21st. Should be a great concert and an awesome way to bring together members of the Harlem community.